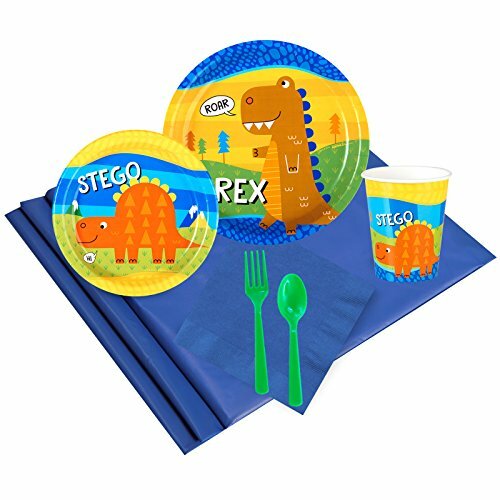 T-Rex 24 Guest Party Pack includes 24 dinner plates, dessert plates, cups, forks, spoons, 40 lunch napkins, 2 solid table clothes. Add additional party tableware, decorations, favors, games, and activities to complete your celebration and entertain your guests. Great for childrens birthday parties, kids school parties, a pizza party, or a theme party. Perfect for fans of dinosaurs, Jurassic Park, Jurassic World, and prehistoric animals.